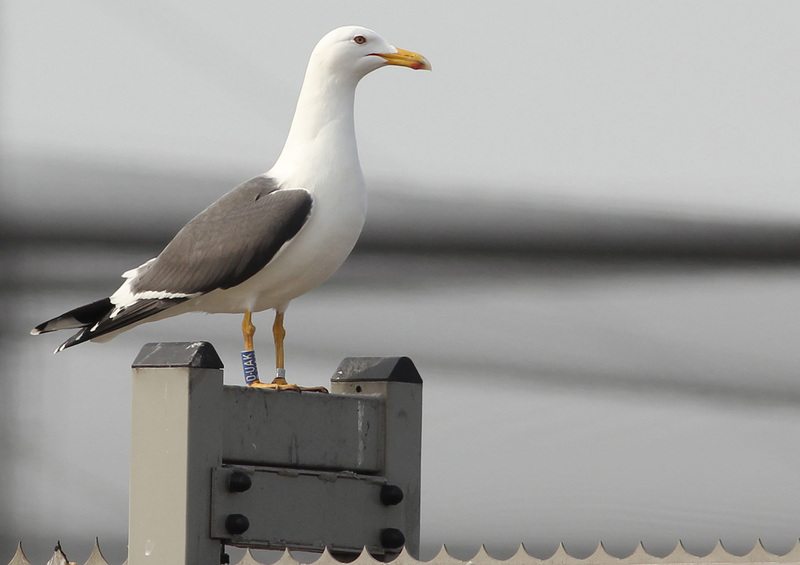 Ringed as pullus in Zeebrugge, Belgium, probably July 07 2006, but info pending. 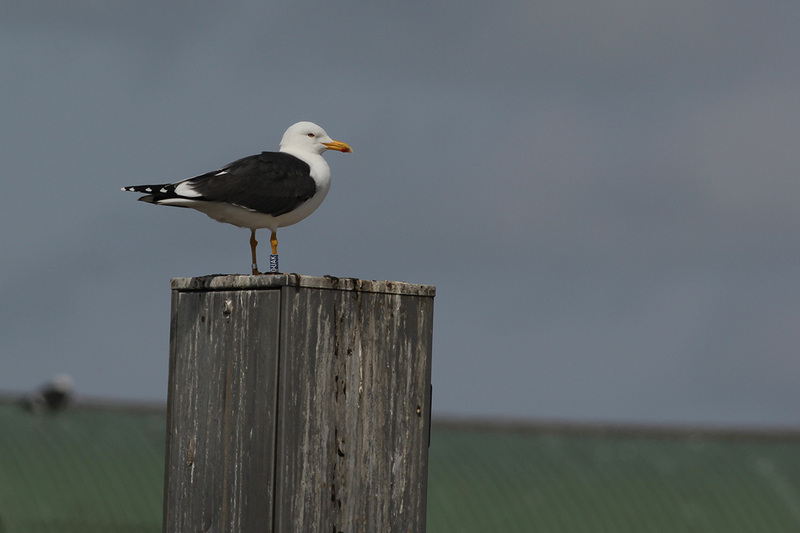 Lesser Black-backed Gull graellsii D.UAK 10CY, April 07 - May 01 2015, Maasvlakte - Dintelhaven, the Netherlands. Picture: Merijn Loeve. Ringed as pullus in Belgium, now 10CY and breeding in the Netherlands. below: Lesser Black-backed Gull graellsii D.UAK 2CY, September 27 2007, Westkapelle, the Netherlands. 2cy graellsii. Partial autumn moult obvious in MC and upper tertials. Also gc1 missing and few LLC growing. Compare to DUAD blue.